Wholesale Trader of a wide range of products which include 3.5 tft monitor, 5.6 tft with rs 232 interface, 5.7 tft monitor and serial lcd tft. 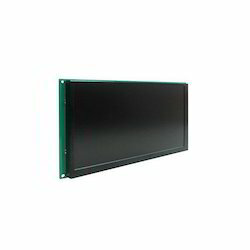 Screen Size less than 16"
We fabricate 3.5" TFT With 8Bit Interface with Super back light display and excellent power saving, which has a flat-sealed front panel for easier cleaning The advantage of this modular approach for upgrading or service is the definition of flexibility. This product is available at industrial prices. 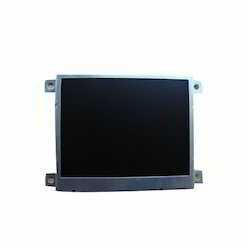 We provide a comprehensive range of 5.6 TFT with RS 232 Interface which are manufactured using modern technology and high grade quality materials. These are mostly used in various areas consists of televisions, personal computers, medical equipments and hand held instruments. We supply these at large scales and are highly demanded in the markets. Our range comprises of control board and black light unit. These panels have a long term availability that goes up to many years, thereby ensuring an uninterrupted and stable supply. Our panels have a supersonic fast response time delivering a holistic viewing experience. 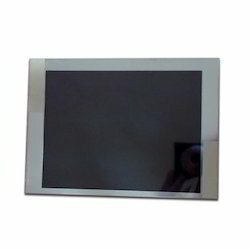 We manufacture and supply 5.7" TFT 8 bit Interface that is known for effective functions, high frequency. We provide a comprehensive range of 5.6 TFT with RS 232 Interface which are manufactured using modern technology and high grade quality materials. These are mostly used in various areas consists of televisions, personal computers, medical equipments and hand held instruments. We supply these at large scales and are highly demanded in the markets. Our range comprises of control board and black light unit. We export these at competitive prices. Looking for Serial TFT Display ?